Perhaps what makes this fountain so peaceful is the fact that there's no water running. 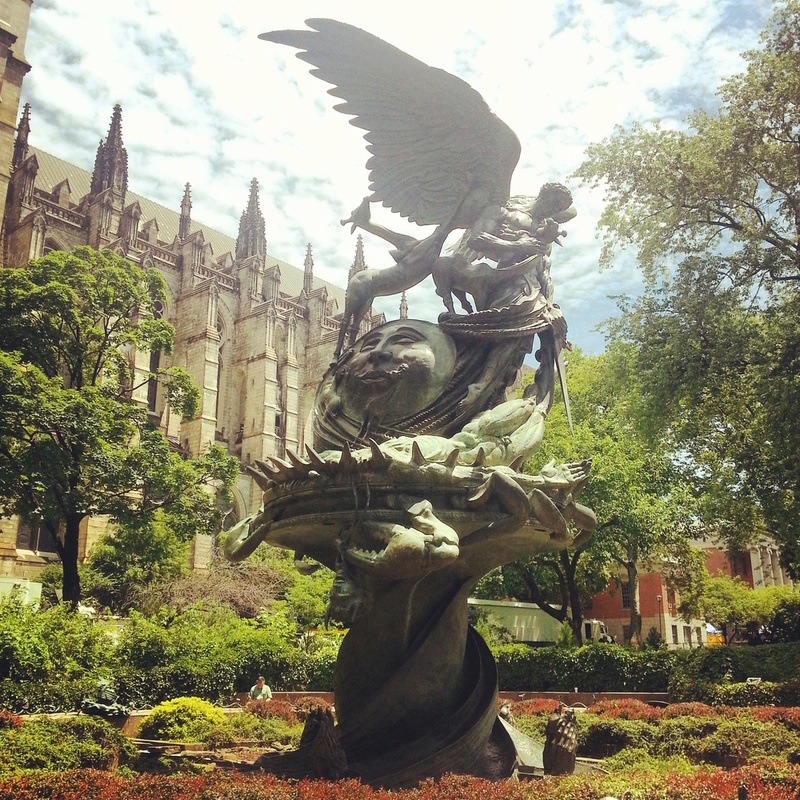 I snapped this photo of the Peace Fountain at Cathedral of St. John Divine during a stop on a day long photo excursion with a client. Good vs. Evil. Life vs. Death. Science vs. Religion. Despite all the chaos represented in the sculpture there is still a sense of peace in this image. I also learned from my client that there are elements in the fountain on the television series, Supernatural. It's is one of my favorite photos that I've taken recently. I sent it to a friend in Wyoming recently and they loved it so much they told me they're using it as the wallpaper on their phone.